After too many years of crappy computer generated car stunts, practical effects are coming back. Mad Max set the tone this year and the new Mission Impossible flick is carrying the torch into the summer. Here’s a brief look behind the scenes at how Tom Cruise and Co. are bringing real driving back to the big screen. 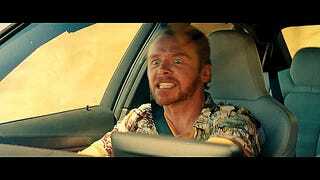 Cruise is well known for taking on more and crazier stunts with each MI installment, and besides hanging off the side of a decrepit A400M, he also did his fair share of the driving for Rogue Nation. But as the stunt coordinator says, with these new BMWs – M3s, specifically – you’ve got to turn off all the electronannies to make movie magic. And it looks like stupid fun.